I started Organising my company’s Harry Potter Christmas party and seeing for myself how many ideas for themes there are! First of all my task along with the organizing committee was to come up with an event to remember. “A spectacular Christmas party for everyone at head office’, that’s what the email on my Macbook screen currently had on it. I carry on reading and see the last section of text where it reads, ‘Organising Committee can have the choice of the theme’. This news would make the team very happy. At least it did me, this would be the perfect event for my Harry Potter ideas. That usual mixture of dread and excitement started taking hold. Breathing deeply, taking stock of the mammoth task ahead, I dove in. I had worked out the four most important areas that needed discussing first. These were: Budget, date, theme, and location. Of course, these would be the starting blocks for the whole event. I knew that until we worked out the specifics we wouldn’t need to come back to the budget. 1 – Remembering to deal with the basics first. The theme and the location were the hardest to tackle. The earlier email had set the bar high. I knew we had a hard task, yet right in the back of my mind, I knew if it became a Harry Potter theme the event would be a success. I had to wait for the meeting and hope the team went for it. The team went for my ideas and the excitement was growing. The magical Harry Potter theme tune that we all know and love is playing louder in my head. The music is called ‘Hedwig’s Theme’, and encompasses magic as a whole. This piece is represented in all the movies. We had booked an old country house in Banbury, Oxfordshire. The location and the old house represented everything we wanted to match the Harry Potter theme. The sculpture gallery has winding corridors reminiscent of the Hogwarts halls. With these corridors, it would mean the decor wouldn’t need as much attention. This would blend beautifully with the HP theme. We would be able to use the majority of our budget for entertainment and decorations. Due to the venue providing us with our own theme food as part of the location budget. Organising the Harry Potter party theme night. Hedwig’s theme is now silently playing every time I revisit the event. I mean that literally, as I have my headphones in and have it on repeat [apparently Harry Potter isn’t appropriate music for our clients to listen to, hence the headphones]. Organizing an event when you’re in the middle of a high paced corporate office environment isn’t as easy as the films may lead you to believe. Therefore it is with great joy that word of mouth and friends come in, pointing you in the right direction. The event staff from the firm would also pitch in on the night to help all vendors where needed. This would include helping friends with photos, photobooths etc. All vendors are allocated full access to the same food & drink free that the staff are and allocated a time suiting everyone to break and eat. 2 – The Harry Potter Party Event Board. I can finally reveal my all-important event board. These thoughts and ideas of mine have been turned into my tricks of the trade. My mood board is a collection of ideas and pictures. Similar to Pinterest I collect pictures from magazines or newspapers and paste them into my book. In my book, I had a picture of each of the Hogwarts House’s scarves which we used for the correct colors. Then we used this idea to have four long tables (Hogwarts Hall), each having the tablecloths and runners in the house colors. As well as decoration relevant to each house; flowers for Hufflepuff, etc. We would have matching house props per table. I even go as far as to put swatches of material to represent color and texture for the theme. I have a big fury brown pillow swatch perfect for Hagrid’s room! The mood board is a combination of other peoples ideas and mine, that I will change with unique twists. In addition to the overall theme, there will be a page for each room showing how each one flows. Entrance hall, Great Hall, Pitch etc. 4 – Finding the all-important vendors for our HUGE HP event. The checklist may seem small however the DETAILS are what brings this checklist to life. The decoration has to be relevant to the HP theme. We have decided between the team to use our own skills. Using ideas from the scene in Harry Potter where Mrs. Weasley enchants knitting needles to magically knit by themselves. Three members of staff are knitting items of clothing and attaching them to knitting needles suspended in the corner of the room. Tablecloths and runners were purchased to match the house colors. Using a generous £500 budget, Pinterest, mood boards and a lot of talent from the team. A magical room was created. The bar even had a moving wall, where it played on a loop a scene from Hogsmeade. It really was like you were seeing it through the bar window! Secure your vendors with a deposit! For the music, we decided the best route was to look through google then move on to recommendations from that. This idea proved very successful and we managed to find a company that would provide us with a Violin Duet. The Violin Duet would play pieces of music from the Harry Potter movies. This would definitely add to the theme. We had the extra benefit of the DJ specializing in Themed Events, he had even tailored music to a Harry Potter event already! The bar and the photographer were easy. The venue and the package already came with food which would be Harry Potter themed. We were just adding extras to the package. We decided to use my partner as a photographer/videographer. As he is a freelance graphic designer, he has ties with an incredible photographer, whilst also being a one himself. We extended an invitation to his colleague and wife, in return for a reduced rate in pictures. My partner would help out with the editing. Each couple/single/group would get a photo each to take home at the event. We had decided that we needed something unusual at the event that really would scream Harry Potter. 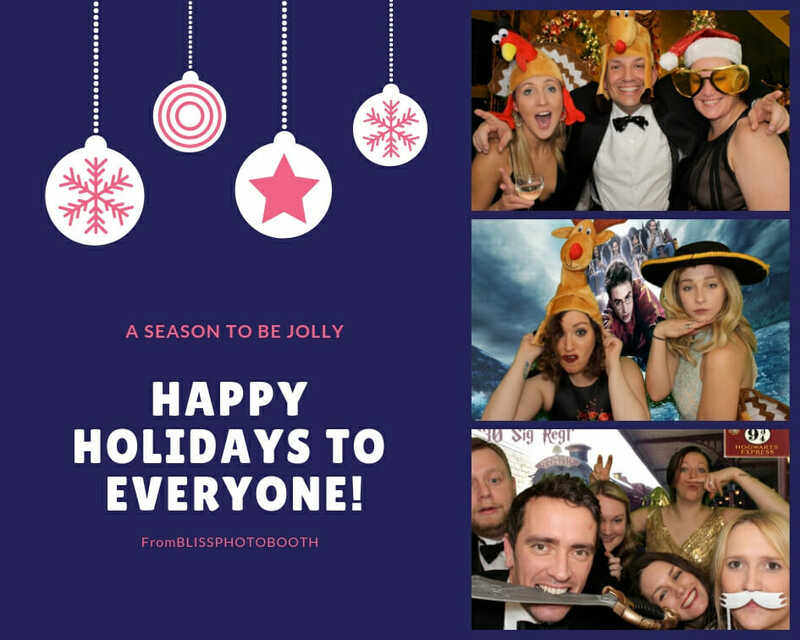 We googled Photobooths and came up with a fantastic company. They would come with Harry Potter themed backdrops and props. And everyone can have their photo taken, dressed like they are in the film! This was an excellent package with the ability to have our pictures on the night. This booth and all the themed extras would solidify this party as the best one the company has seen yet. The Photobooth company had sent us photos and what we expect to get with the package. It was immense, the package contained so many unique HP themed props we knew it would look spectacular. With this, we decided a few extras were needed just to add that extra finesse. Recipe for alcoholic and nonalcoholic butterbeer, and ‘Honey Duke’s looking sweets to serve as canapes – price for the venue to make all of these as part of their food package. The Quidditch Game* – (invented by myself and partner over a morning coffee). Props (large pumpkins, Christmas trees, hanging owls flying over the ceiling) we would source and make these with our amazing woodworkers in the company. We Proudly present – The Harry Potter Christmas Party! You know the number of guests that are arriving, and how they are getting there. You know the rooms they are walking through, as well as what needs to be decorated. The team had been discussing using a company that has a bus that looks like the Night Bus. However, the budget wouldn’t allow for it. These ideas had all come from little-scribbled notes I wrote on my board. I would write a list of things that would cover the general theme of ‘Harry Potter’ like, broom, magic, wand, owl, Hogwarts etc. After adding pictures that matched the idea in my head I would start adding a list of the more fun aspects. This would include music, entertainment, games, photos etc. Finally, after adding minute details to each of the requirements behind each subject, the night arrived. If there was one word to describe the feeling we all got when we walked into the ‘Entrance Hall’, Magical would cover it. Flame lights and sails surrounded the metal gates, that were guarding the spectacular centerpiece. As we drove around the large metal phoenix. Acrobats and trapeze artists were twirling through the air, ribbon dancers were tumbling to the ground. Walking through the forbidden forest, sitting on Hagrid’s pillow for a photo, with firebreathers prancing towards the “Great Hall”. Around us, as we enter, male and female servers dressed as mermaids and centaurs offer us Honey Dukes sweets and Butterbear. We sit down at the house tables after being sorted by a sorting hat and begin the meal listening to the wonderful violinists. They play their way through Hedwig’s Theme and various other notable HP music. The food is glorious, you can see the moving Diagon Alley wall behind the bar. The photographer is capturing every wonderful moment especially the Quidditch Game*. When it comes to photobooths WE HADNT SEEN ANYTHING LIKE IT. It was spectacular and even the huge queue was worth it! As the guests were queuing, they were playing a Harry Potter question game with shots! Everyone’s photo was brilliant. The photobooth compnay was fantastic and had provided everything and more for entertaiment and memories. The Night was drawing to an end, Hedwig’s Theme once loud in my head, grew quieter. The specialized DJ had on tracks played from the films, from acts such as ‘The Weird Sisters’ really pulling the whole theme together. All of the suppliers stayed for dancing and more photos and actually became an integral part of the whole event. Everything had come together exactly how it was foreseen. And it all started with that one email, that little board of images and the magical 5 top tips. And Hedwig’s Theme came to a glorious end. This game is played with one person. Two small Quaffles, a broom, and 3 quidditch hoops. One person takes a shot or a sip of the drink, then holds a broom between their legs with one hand, on one leg whilst throwing a small Quaffle type ball in one of the scaled-down Quidditch Hoops. Whoever gets the best score with two balls goes on to the final at the end of the night with the other highest.